Tracking weight loss is easier than ever with the plethora of weight loss apps. Whether you’re using a specialist tracker or just your smartphone, you can monitor your diet and exercise at the tap of a button. There are over 165,000 health-related apps available on the Apple store alone. While they may seem like a convenient way to lose weight, they have their limitations. Read on to learn why these apps might be doing more harm than good. Weight loss apps work on a simple idea. To lose weight, you need to consume fewer calories than your body uses. Eating less and moving more causes the body to burn off excess fat for energy. The apps let you input what you’ve eaten while tracking your activity throughout the day. The problem with these apps is that idea is too simple. Medication can cause weight gain through a change in hormone levels. Not all calories are equal. Weight loss apps treat a calorie of pure sugar and a calorie of protein in the same way – as calories. If you’re solely tracking calories, it’s easy to pile on the pounds by consuming the wrong calories. People use these apps when they’re following a crash diet but they never work. 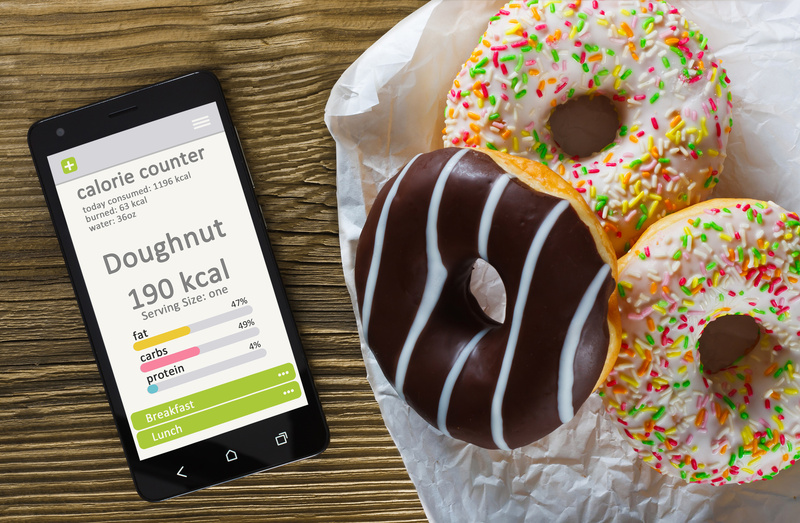 When you start tracking your fitness, it’s easy to ‘treat’ yourself to something sugary or fatty after a workout. After all, you’ve burned off excess calories so you can justify it, right? So your fitness app says you’ve burned 400 calories. That’s not an excuse to eat a chocolate muffin as a reward. This comes back to the above point – not all calories are equal. If you must ‘treat’ yourself after exercise, choose something high in fiber and vitamins, not fat. Exercise drains the body of glucose, making you hungry so you’ll refill your reserves. The problem with weight loss apps is they don’t take this into account. Because they work on the ‘calorie in, calorie out’ principle, they’re encouraging you to become hungry. With high-sugar and high-fat food so readily available, it’s easy to over-indulge to satisfy your hunger pangs. To get the most out of a new exercise regime, you must balance it with proper nutrition. Tracking your fitness can be a great way to get you started on a new exercise regime. And they can certainly shock you into changing your diet when you realize how much you consume. Most apps don’t help you to change your behavior towards food or exercise. They reduce both to calories consumed or burned. That’s it. You’ll come to see these apps as ‘spoiling your fun’. They turn exercise into something you have to do. Many apps try to gamify the weight loss experience, adding leaderboards, targets or levels. The novelty doesn’t last. People who use the apps soon start skipping exercise. Or they fail to log their last meal because they know it was too unhealthy. Your diet becomes a struggle. What started as good intentions turns into just another chore. These apps can provide a useful yardstick and the activity data can help you set goals to improve your fitness. But maybe you need a way to start your weight loss in a big way. It’ll give you the incentive to maintain a healthy diet and exercise regime. Mini-gastric bypass surgery might be the solution for you. Schedule an intro call today to find out more.